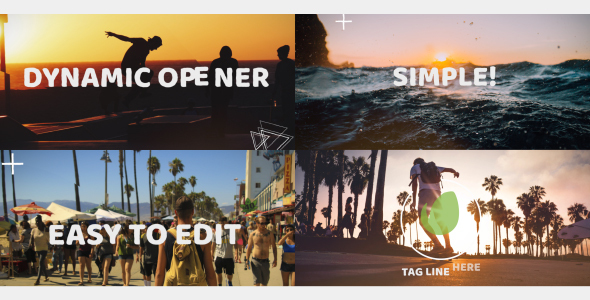 Fun Dynamic Opener (Miscellaneous) – After Effects Templates After Effects CS5 Project – Fun Dynamic Opener. Fast and dynamic photo/video slideshow with colorfull transitions. Fun, bright, dynamic template will be great for family gallery, promo, travel photos and videos, share your crazy life moments, summer openers,so tell your story. Also good for reels, photo and video portfolio, travel photographers or special event reports. This template for you, if you want to share your positive emotions, cool way to tell your story and give pleasure to your friends, relatives or clients.